Bank Kerapu: World War II Memorial. 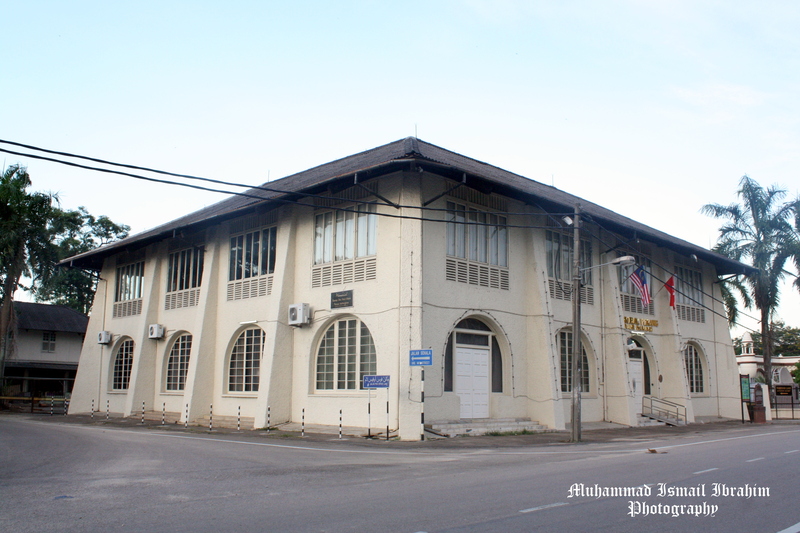 This is a historic building located in the downstream side of Padang Merdeka, Kota Bharu , Kelantan. This building, built in 1912 was first used as a commercial bank and believed as the first building/bank opened in the state. The Mercantile Bank of India Limited, thus the name Kerapu Bank. The word ‘Kerapu’ however refers to the rough exterior walls of the building. During the Japanese Occupation from 1942 to 1945, this building was used as the headquarters of the Japanese secret police, or known as Kempetai. After the war, the building was reused as a bank. In 1981, the first floor of the building was converted into an Art Gallery while the ground floor was used to display handicrafts. 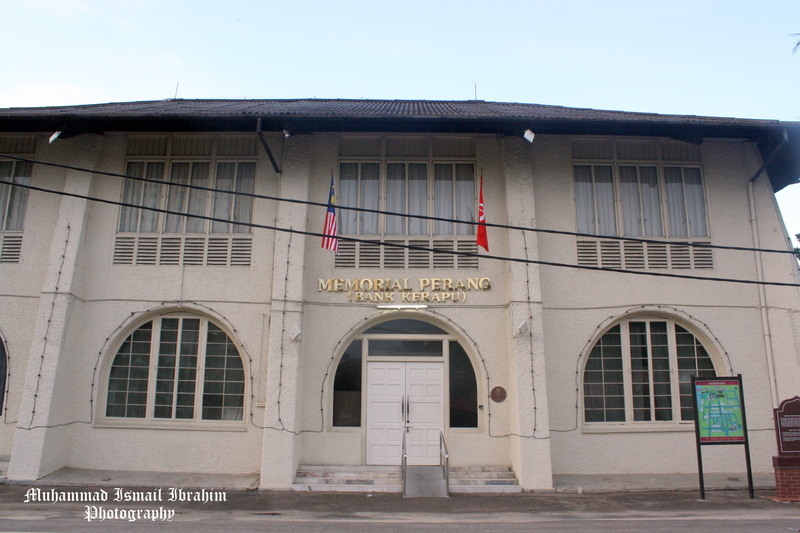 The building was turn into a memorial dedicated to the World War II in 1992 and was officially opened by the (then) Sultan of Kelantan, Sultan Ismail Petra in 1994. Item on exhibit include artifacts, photographs and other memorabilia of the war. Meanwhile, the first floor of the building displaying the history of Modern Kelantan, its statesmen, religious roles and administration from 1900 until now. Perhaps, this is an ideal place to begin the visit or to conduct a research of Kelantan history is at the Kerapu Bank World War II Memorial (War Museum) in Kota Bharu. 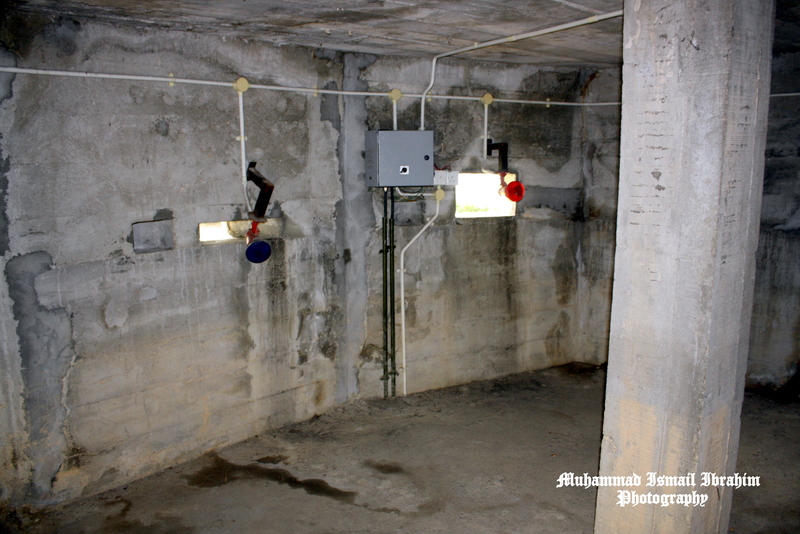 It has a number of wartime memorabilia, information and artefacts of the war inside and outside of the building. Besides that, it display Kelantan-Thai history of pre-independence Malaya , and the life of the native under the British Occupation in the state before and after the war. Exterior view of the 'rough walls of the building' in which the building got its name. 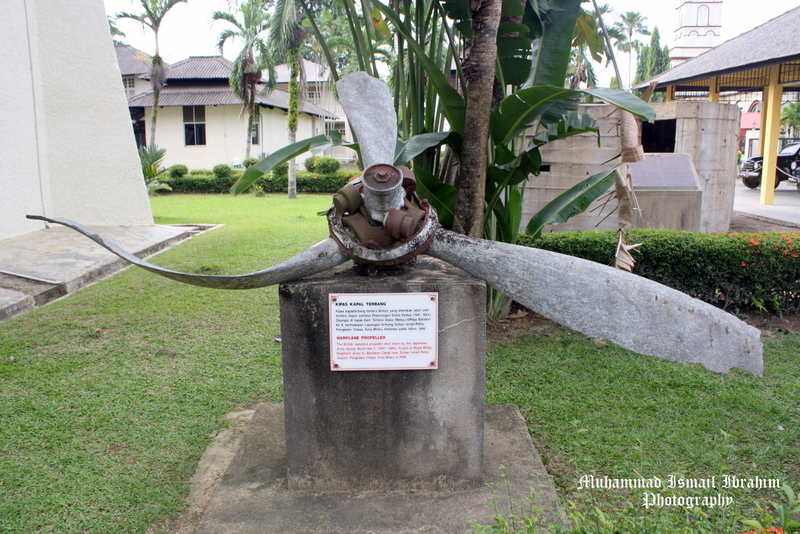 The British warplane propeller was shot down by the Japanese Army during World War II. It was found at Royal Malay Regiment Army of 8th Battalion Camp near Sultan Ismail Petra Airport, Pengkalan Chepa Kota Bharu in 1996. 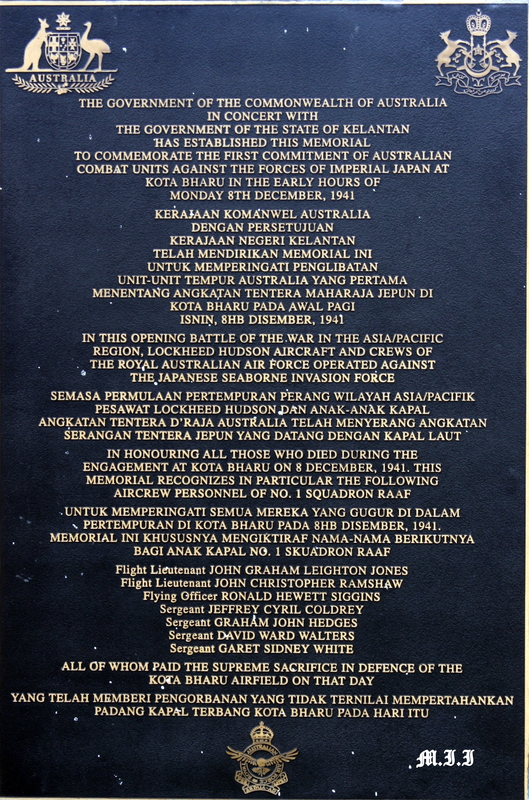 The Government of the Commonwealth of Australia in concert with The Government of the state of Kelantan has established this memorial to commemorate the first commitment of Australian combat units against the forces of Imperial Japan at Kota Bharu in the early hours of Monday 8th December, 1941. 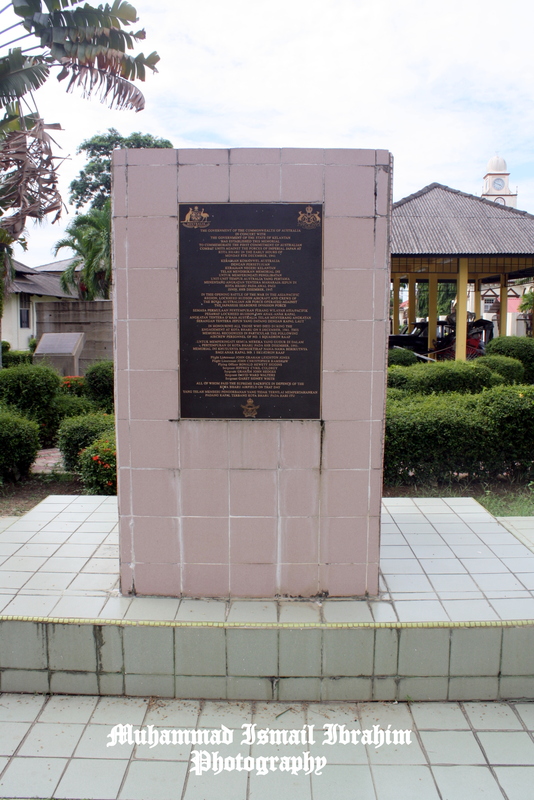 The plat honouring all those who died during the engagement at Kota Bharu on December 8th, 1941. 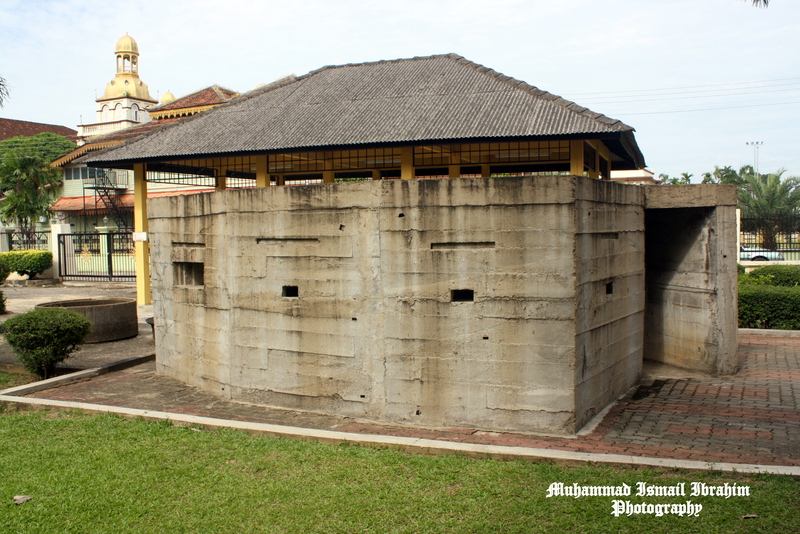 The pillbox exhibited is a replica of particular model found along the coast of Pantai Sabak, most of them are sunken due to the coastal erosion throughout each year. Interior view of the replica. Two Japanese at the Memorial reminiscing their forefather's legacy. Exclusively, I will bring to you some of epic rare color film which took place during the Japanese Occupation from December 8th, 1941 which we can see the real scenes from the landing assault in Sabak Beach, the movement in the Peninsula until the fall of Singapore to the Japanese Army on February 15th 1942. « December 8, 1941: The Battle of Kuala Pak Amat ! 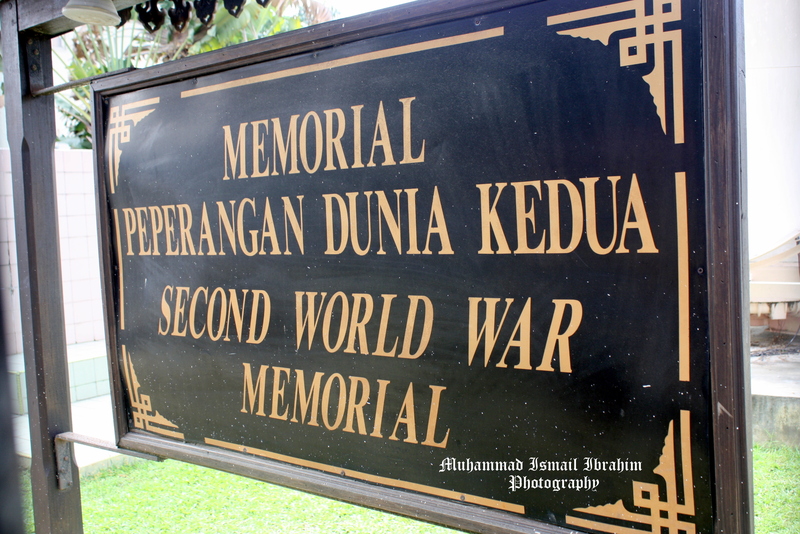 Well done dear writer, keep up the good work on establishing news about WWII memorial such like this in Kota Bharu. Great that your are back on writing…more news on WWII in Malaya? How about news on our local policemen contributing their effort before, during and after the war? Dear Mohammad Ismail Ibrahim, My name is Kamal Adam and I am 47 years old now and for your information I had stayed in the Bank Kerapu during my childhood year around 1970-1973. My father was the bank manager of Hong Kong & Shanghai Corporation there and I used to play at every corner of the building and compound. I was staying in a room within the master bedroom facing the eastern side toward the Mosque. I you want to know more to email back to me..
Dear encik kamal Adam…I’m a student of umk. Me and my group have an assignment at museum bank kerapu. But we only get a little information. We are hoping your kindnesses to share with us information that you have….we really need it…can u give me your email address…so that I can email you. i am a final semester architecture student from uitm perak also doing research on the museum bank kerapu. i have also known some of stories based on grandmother as my late grandfather was a soldier back then. As interested, many research have been done but now i need to know that is there a blue print/lay out plan of this historic global-war building? i had been there for measuring the building however this structure was complicated. kindly need your help sir,thank you.